Be VIP Level 2 (Yellow) and get a ₵2,000 ticket! 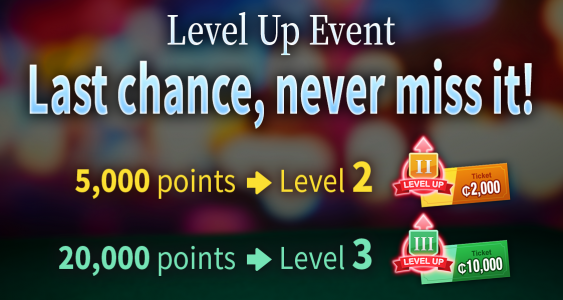 Be VIP Level 3 (Green) and get a ₵10,000 ticket! *Tickets will be given on March 23th before CST 16:00. *Burning Sunday is on March 25th.